I found this gem in my inbox this morning. Time is a valuable asset that attracts many robbers. Today is May 31. The last day of the year for me. I know, I know. I can hear you saying, "You do know that there are 6 more months left in the year right?" While that is true on your calendar, MY calendar reads differently. A lot of this, looking back on it, has to do with the fact that I am/was incredibly egotistical as a kid. The year for me starts in the month of June for 2 reasons that are important to me. My birthday is in June and so, for me, that makes June a special month. It is why I have always counted June as the beginning of my year. Now I keep up appearances for the rest of the world but my internal calender says today is the end of year. There has always been a distinction between people that are considered nerds and those that are called creatives. 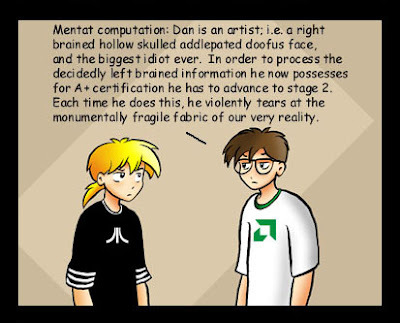 Growing up they fell into 2 distinct camps, the artists and the geeks. I fell squarely into the geek category. Surrounded by books, taking apart radios and toys, even getting my first programming book at the age of 8. Being a nerd/geek defined me and I was OK with that. The artists were something that at the time seemed very alien to me. That was until I actually experienced it. Drawing, painting, sculpting, even sewing stopped being magic, became something tangible and I loved it.